Lorna, Molly, Ruth. Three generations of Faraday women, whose lives span the 20th century and which stay connected, increasingly tenuously, to Matt Faraday’s prints of wood block engravings. 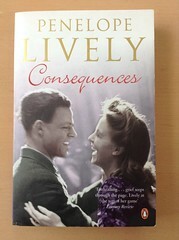 I shall read more Penelope Lively.